REMBRANDT V. FACEBOOK TRIAL ON "LIKE" BUTTON BEGINS; KANGAROO COURT #2? Fig. 1—Randall R. Rader. 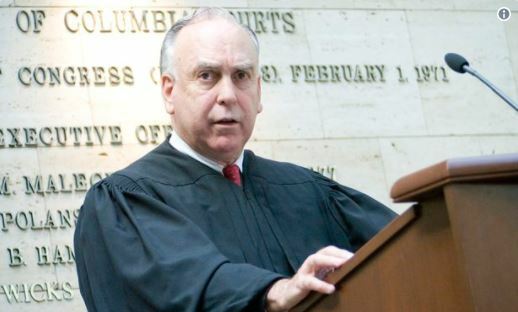 Former Federal Circuit Chief Judge resigned in disgrace on Jun. 13, 2014 amidst the YFFL email scandal with Edward R. Reines, Weil Gotshal LLP. Judge Kimberly A. Moore was a former consultant to Weil Gotshal, yet has never disclosed her conflicts either. According to The Wall Street Journal Law Blog just hours ago, former Federal Circuit Chief Judge Randall R. Rader quit the bench today, in the wake of his YFFL e-mail scandal ("Your friend for life -rrr") with backroom Silicon Valley crony Edward R. Reines, Weil Gotshal LLP. This event further validates the misconduct this site began uncovering in the wake of the Leader v. Facebook judicial corruption. A Leader v. Facebook mistrial seems inevitable. See our previous post for more links among the Rader resignation, David J. Kappos, the Patent Office and Leader v. Facebook. Note: Judge Rader and Judge Ellis are both faculty members of Professor James P. Chandler's National Intellectual Property Law Institute. 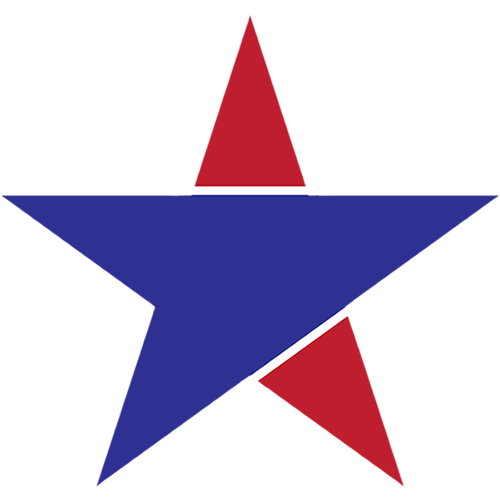 Chandler and Fenwick & West LLP were both Leader Technologies' attorneys. The outlines of this white collar corruption are finally beginning to emerge. Fig. 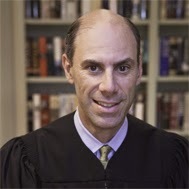 2—Judge T.S. Ellis, III presides over Rembrandt Social Media, LP v. Facebook, Inc. et al but failed to recuse himself due to his holdings of Facebook financial interests. An unbiased tribunal is impossible. 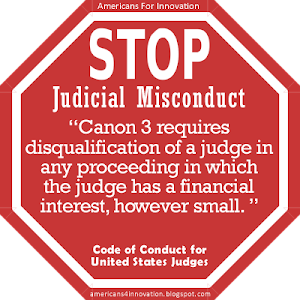 Canon 2 of the Code of Conduct for U.S. 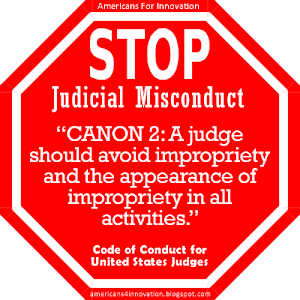 Judges tells them to "avoid impropriety and the appearance of impropriety." Here we see both. Is that Lady Justice over Judge Ellis' shoulder breaking her scales in frustration? Ellis and Rader are close associates of Professor James P. Chandler III (along with the USPTO's David J. Kappos, IBM, Microsoft, Boston Scientific and Fenwick), Leader Technologies' former patent counsel. (Jun. 13, 2014)—ABC News reports: “Facebook infringed on patents held by a Dutch computer programmer who tried to launch a similar site called ‘Surfbook’ more than a decade ago, according to a lawsuit heard by a federal jury Wednesday.” Click here for the ABC News coverage. ABC had earlier reported when this case was filed. See “Facebook Sued Over The “Like” Button, ABC News, on Feb. 13, 2013. 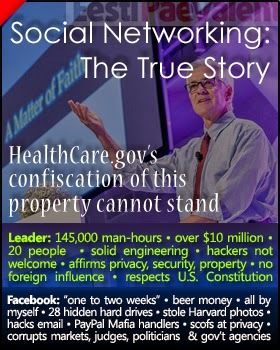 Rembrandt Social Media, LP v. Facebook, Inc. et al, 1:2013-cv-00158-TSE, filed Feb. 4, 2013. Fig. 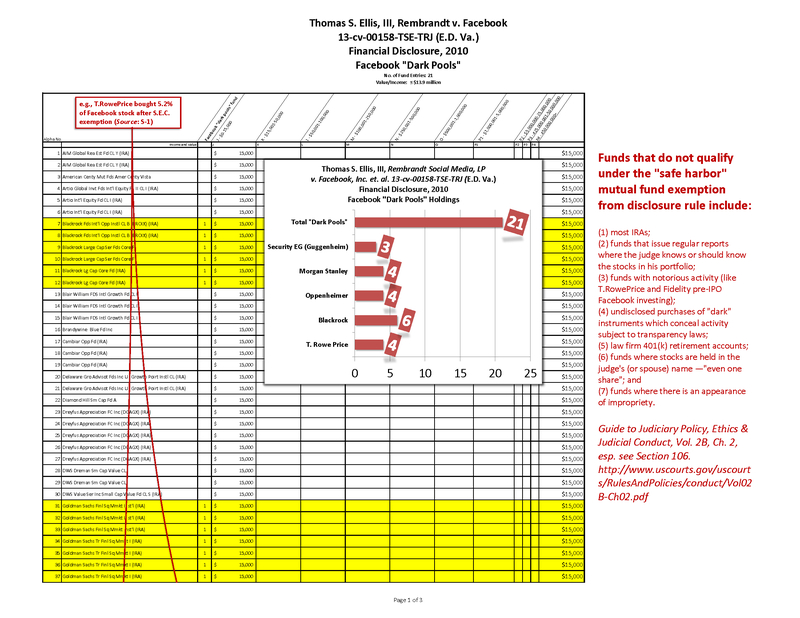 3—Judge Thomas S. Ellis, III, 2010 Financial Disclosure revealing large amounts of conflicting Facebook interests. The law is clear that there must be a presumption of bias when a judge holds stock in one of the litigants. 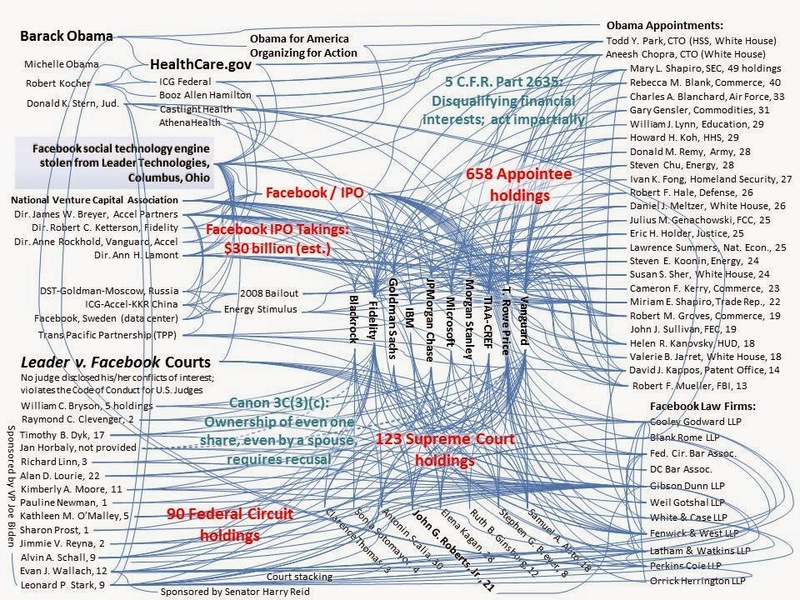 The current charade being played in the Facebook Cartel to hide their holdings behind mutual funds is farcicle. In any event, Ellis doesn't even have that excuse since Goldman Sachs and Morgan Stanley are Facebook's underwriters, and T.Rowe Price holds more than 5% of Facebook's stock. Click here to download this PDF. Bottom line: Judge Ellis had a duty to recuse himself in Rembrandt v. Facebook, and did not. Curiously, Judge Ellis was a faculty member in Professor James P. Chandler, III’s National Intellectual Property Law Institute (“NIPLI”). Professor Chandler was Leader Technologies’ patent attorney who introduced Leader to Fenwick & West LLP. Suspicion is growing that Chandler and Fenwick played on both sides of the ball in the Leader v. Facebook... and Rembrandt v Facebook. Also reminiscent of Leader v. Facebook, Judge Ellis blocked one of Rembrandt’s damages expert witnesses from giving testimony at trial. In the Leader case, Judge Leonard P. Stark allowed Facebook to add the on-sale bar claim just one month before trial and prevented Leader from performing discovery, and simultaneously blocked Leader from getting expert testimony from Chandler. The Chandler testimony was blocked even though Chandler is a recognized expert on intellectual property law and had personal knowledge of the events that Facebook would raise. A Delaware U.S. Attorney's Office official told AFI investigators recently that Chandler and Stark worked together when Stark was an Assistant U.S. Attorney. Fenwick & West LLP began officially representing Facebook in about 2006 in securities and patent matters. 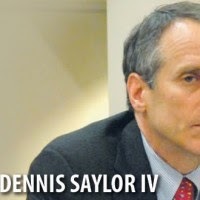 However, Fenwick was the attorney who filed the patent for Van der Meer back in 1998. Sound familiar? 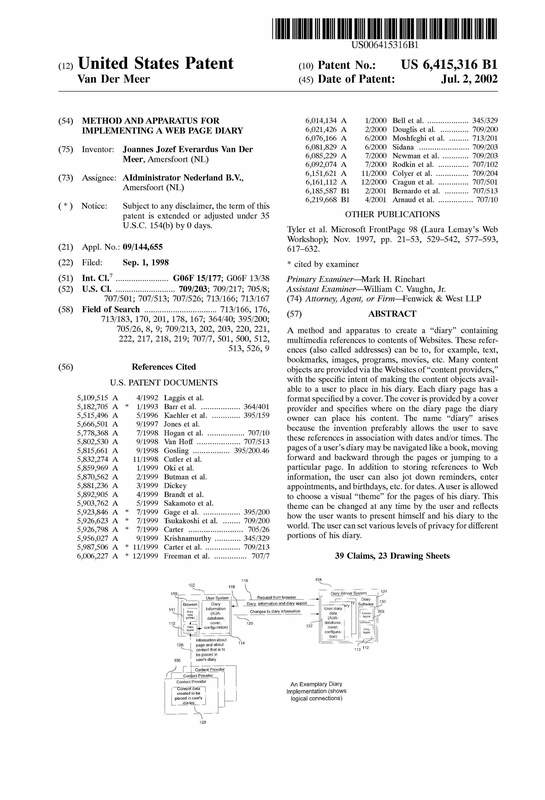 Fenwick represents one inventor whose patent magically emerges inside Facebook’s portfolio, repackaged as a Facebook patent. Ellis ignored the obvious duplicity and attorney misconduct, probably since Fenwick was Chandler's compatriot in what appears now to have been an organized effort to kill all "cloud" patents not controlled by the Cartel, led by Fenwick. Did Fenwick seek a conflicts waiver from Van der Meer before representing Facebook? Is Facebook using Fenwick’s knowledge of the Van der Meer representation against Van der Meer? 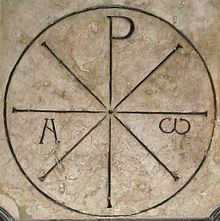 Is the Pope Catholic? Fig. 4—U.S. Patent No. 6,415,316 Joannes Jozef Everardus van Der Meer, revealing Fenwick & West LLP (Facebook's current attorney) as Van der Meer's attorney in 1998. The law is clear that there is a presumption of bias when an attorney flips sides on the same matter. Click here to download this PDF. Is Rembrandt v. Facebook another corrupt court like Leader v. Facebook ? Given Judge Ellis’ bias toward Facebook, can the Van der Meer family and Rembrandt hope for justice? 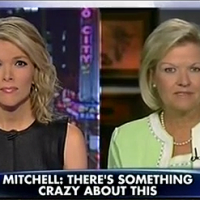 Or, will this be yet another kangaroo court masquerading as American justice? Pass this post around and make sure people in Washington D.C. get educated on the profound conflicts of interest in this case. It appears that our justice system, attorneys and judges alike, are totally ignoring their duties to ensure to the American public that justice is blind. Fig. 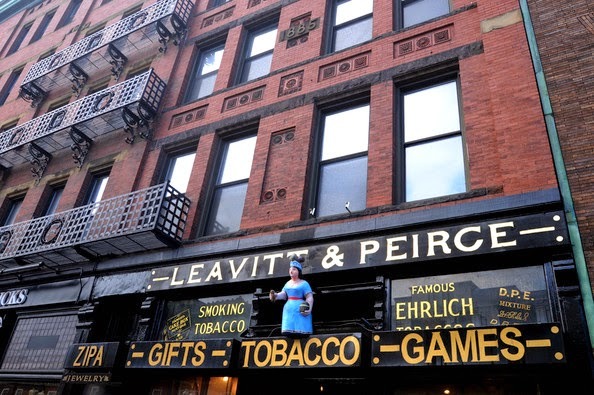 1—Leavitt & Peirce on Massechusetts Avenue, across from Harvard Yard, has been a favorite hangout to train freshman in the art of backroom cigar smoking since 1883. Photo: Zimbio. (Jun. 6, 2014)—American democracy relies on the principle of the separation of powers, where each branch of government (Executive, Legislative, Judicial) holds the other two branches accountable against abuses of power. However, this principle cannot work if members of one branch collude with their cronies in another branch to control outcomes. 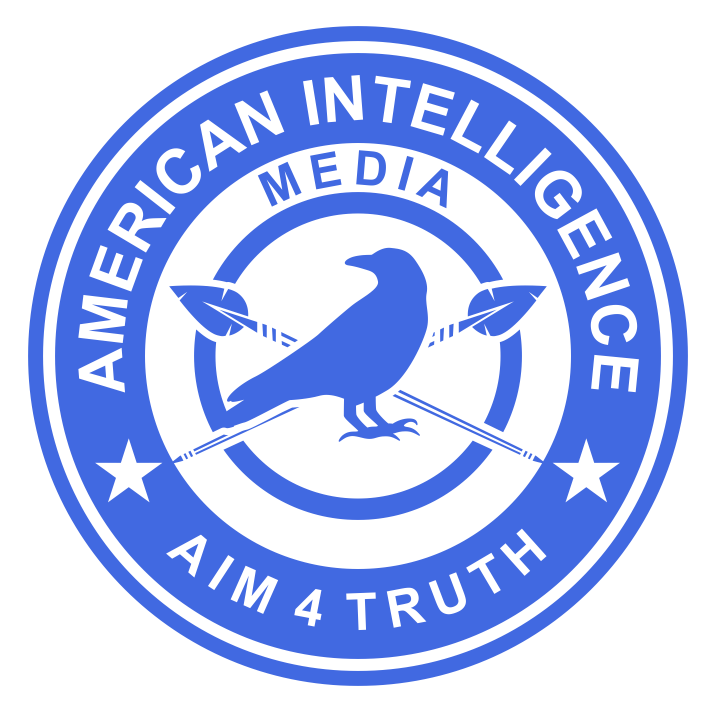 For good measure, the Founders gave special privileges and immunities to a Free Press so that they would not be a mouthpiece of state propaganda, and would serve as a watchdog to question power and check abuse. The Founders were so concerned about the abuses of power they’d seen and experienced in the monarchies of Europe, that they physically moved the seat of government out of New York and onto the then swampy banks of the Potomac River—present day Washington, D.C. The logic was that political discourse must be independent of money interests, given human weaknesses to greed, bribes and coercion. The current caustic environment in Washington D.C. begs the question: What has gone wrong? We posit that the answer is not that complicated, and the solutions are straightforward. Modern communication has blurred the separation between Wall Street and Washington. The grease of corruption that holds them together now is a bevy of unscrupulous “constitutional” lawyers who have made an industry out of exploiting the weaknesses in our Constitutional government. Playright Peter Stone attributed this famous wit to his John Adams character in the 1969 musical comedy 1776! : "I have come to the conclusion that one useless man is called a disgrace, two useless men are called a law firm, and three or more become a Congress." We cannot resist an attorney joke here. "How many moral and religious attorneys do you know?" Don't answer that. Our point is made. Attorneys cannot be relied upon to make the Constitution work. In fact, there are so many of them hovering over Washington that they are smothering it. Move government agencies offices out of the congested East Coast and into various parts of the country where Midwestern values of honesty and hard work prevail. The “coastal” mentalities have made duplicity a virtue. Such values destroy public discourse and trustworthiness. Move government agencies to worthy locations like North Platte, Nebraska. We have yet to see a downside to this suggestion. We first heard this suggestion from a leading Democrat in a northern state. Let’s face it, two Ivies, Harvard and Yale, have developed an unsustainable stranglehold over American government. For example, six of the nine Supreme Court justices are from Harvard (Roberts, Scalia, Kennedy, Bader-Ginsberg, Breyer, Kegan), and the other three are from Yale (Alito, Thomas and Sotomayor). Harvard graduates run Goldman Sachs (Blankfein) and JPMorgan (Dimon). The list goes on. Could the picture be any clearer? No doubt in our age of instant communications, planes, super highways and fast trains, a big reason for this concentration of power is relative proximity. These schools are just short distances from Washington, D.C. It is just too easy for backroom arm twisting to be accomplished over a Starbucks. If we disperse our agencies throughout the United States, the lack of proximity will surely help dampen collusion. Strong side benefits are that it lowers living costs and creates more take home pay for the civil servants. It also will dramatically reduce travel time, thus making more time for family, personal and community priorities. 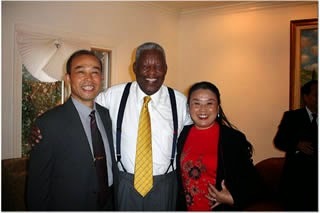 An attorney license is a privilege bestowed by the People meant to promote and support justice and fair play. It is not a right. It can be revoked at any time. However, an attorney license in Washington, D.C. is more like a hunting license. These people gravitate naturally to deep pockets, thus skewing their work toward promoting financial interests, not justice. Lawmakers often rely upon the data and input from lobbyists. However, it stands to reason that if they only ever have the input of this one class of American citizen, then their perspectives will become skewed and unhealthy over time. In the current environment, Wall Street has bought and paid for the Left, the Right and the Media. Wall Street (and its cadre of lackey attorney firms) is running the show currently. In order to shut down the career attorney-lobbyist mill, limit the number of times any one attorney/firm can appear before a government official or tribunal. The current situation is laughable. Now we see attorneys like Gibson Dunn LLP’s Thomas G. Hungar, making more appearances before the Federal Circuit and U.S. Supreme Court than Henry the 8th had wives. Hungar and his partner, Theodore B. Olson, have become so influential that the judges before whom they argue seek their affirmation and approval. “Chummy” was the descriptor used recently by The Wall Street Journal. 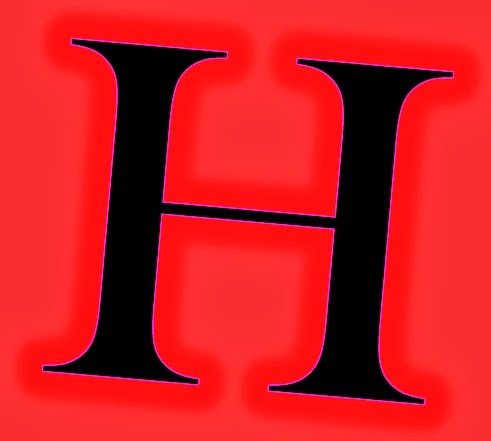 Impartiality is a joke when Hungar and Olson become involved. 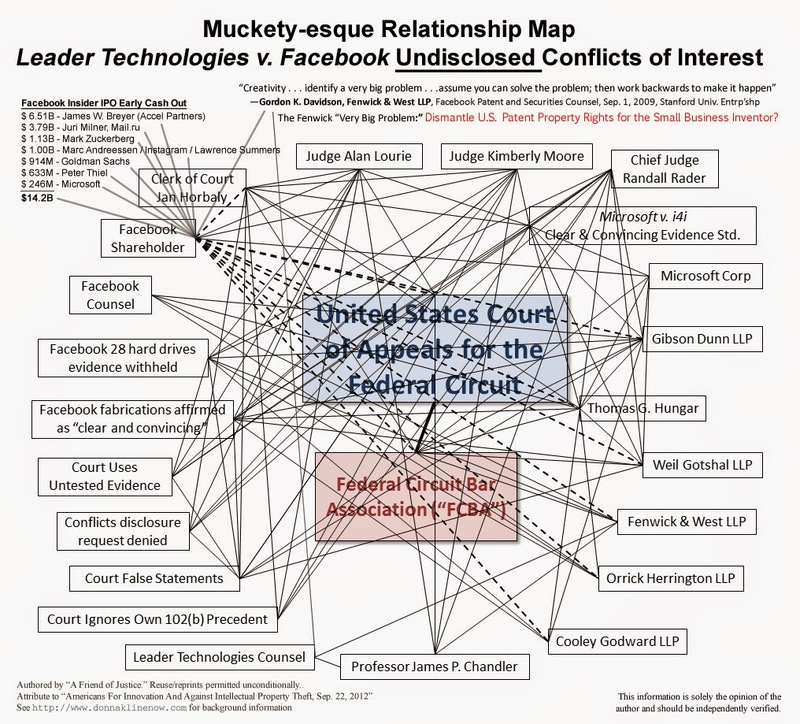 The recent revelation that the Federal Circuit Chief Judge Randall Rader has been secretly promoting the career of closet Facebook attorney, Edward R. Reines, Weil Gotshal LLP, shows that this familiarity has destroyed impartiality. 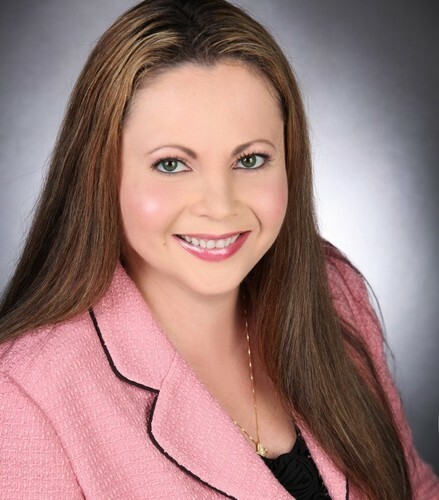 Rienes appeared in the Leader v. Facebook case to protect the judges from accusations of Facebook bias. Make these attorneys go home and get real jobs. This will cut down on the collusion that is so evident now in federal courts and agencies like the Federal Circuit, Patent Office, S.E.C., F.E.C., N.S.A., C.I.A., F.C.C., DoD, D.O.E., Patent Office, Pentagon, Commerce, and Justice. 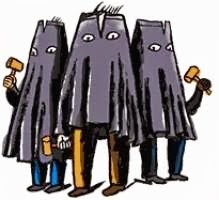 Any attorney that has forsaken his/her solemn oath to preserve and protect the U.S. Constitution, and has instead locked arms with judges and other attorneys to thwart justice in favor of his or her “chums,” deserves a prison cell. 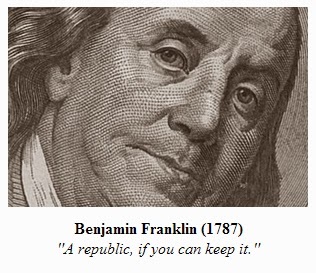 Power corrupts, and absolute power is corrupting absolutely. As just mentioned, the Federal Circuit’s Chief Judge Randall R. Rader proved by release of his own emails that he is not impartial. He was caught promoting the private attorney-interests of his Silicon Valley friend, Weil Gotshal LLP attorney, Edward R. Reines. If such impartiality is coming from arguably the second most powerful judge in the land, what does that say about our system? The new reexamination rules do nothing but destroy the certainty inventors depend upon for their livelihoods. Big infringers have been given free rein in the deceptively named, "American Invents Act," to keep challenging an issued patent as many times as they like. This destroys the value of game-changing inventions that they want for themselves. 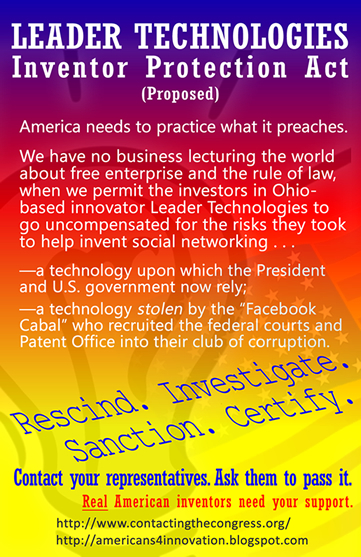 Inventors will be relegated to inventing trinkets that the large companies are not interested in stealing anyway. From our research, the current group in power appears to have hatched their plans along Harvard’s Mass. Ave. in the early 1990’s. The mainstream media today are heavily funded by Wall Street. This dependency destroys objectivity. A democracy cannot survive without a truly Free Press whose job is to challenge those in power. The current subservience to financial interests by CBS, ABC, NBC, CNBC, CNN and FOX is evident and does not need to be argued further in this article. We wrote on this in a previous post. See Mainstream Media Gagged. Entenched bureaucrats from the previous administration should move on as a matter of principle. This allows the new administration to implement the changes for which they were elected. Short of hitting the refresh button each time, entrenched bureaucrats tend to use their familiarity with the infrastructure to stonewall change. These people simply dig in and wait out the term of the latest politcal appointee in a war of attrition. Money is wasted and the citizenry end up spending a lot on salaries and expenses for very little productivity. Presumably, the fresh faces will focus more on the tasks at hand and less on the game playing and posturing that currently makes federal agencies so ineffective. Both literally and figuratively, Barack and Michelle Obama were there. So was Eric H. Holder, Jr., Lawrence H. Summers, James P. Chandler, III, James W. Breyer, Ping Li, James Swartz, Lloyd Blankfein, Jamie Dimon, Hank Paulson, Preetinder “Preet” Bharara, Thomas J. Kim, Samantha Power, Jill Abramson, Sylvia M. Burwell, Shaun Donovan, Arne Duncan, Jeffrey Immelt, Jack Lew, Ben Bernanke, John G. Roberts, Jr., Ruth Bader-Ginsburg, Antonin Scalia, Stephen G. Breyer, Samuel A. Alito, Elena Kagan, Anthony Kennedy, and Sheryl K. Sandberg, to name a few. It appears that by the time Barack Obama leaves offices, this crowd will have installed “data mining” and “data siphoning” tools at all levels of our national communications infrastructure so that they can keep playing this music indefinitely. Then who will be in control of American life? Now is the time for the People to stop this attempt to devolve American democracy to a hubristic autocracy of the past where a few lord it over the many. In case you did not get the memo, these people are sure they are right, and you are wrong. If we want to keep our republic, we must stop this. 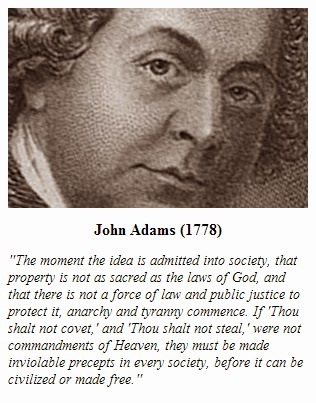 "The moment the idea is admitted into society, that property is not as sacred as the laws of God, and that there is not a force of law and public justice to protect it, anarchy and tyranny commence. 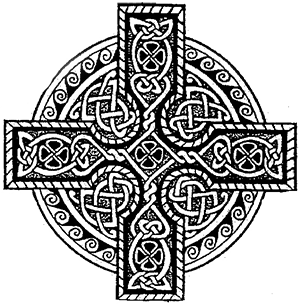 If 'Thou shalt not covet,' and 'Thou shalt not steal,' were not commandments of Heaven, they must be made inviolable precepts in every society, before it can be civilized or made free."